Kelly Andrew is a musician and composer whose latest album Rendezvous was produced by Will Ackerman, Tom Eaton and himself, as well as recorded at Will’s Imaginary Road Studios in Vermont. Centered upon themes of romance, reflection and passion, Kelly contributes keyboards, synthesizers and programming to these twelve and often jazzed-up contemporary instrumental compositions. He is joined variably throughout by a talented musical ensemble of which includes Duke Levine and Randy Chavez on guitar, Tony Levin and Bijoux Barbosa on bass, Charlie Bisharat on violin, Eugene Friesen on cello, Premik Russell Tubs on sax and woodwinds, Jill Haley on English horn and oboe, Steve Holley and Christian Teele on drums, Jeff Haynes and Christian Teele on percussion, Gus Sebring on French horn, and Noah Wilding on wordless vocals. “Chasing Twilight” leads the album with sultry electric guitar and drifty piano notes over a slick bassline and infectious groove, collectively lending this beautifully bold opener a jazz-funk vibe. “Hand in Hand” follows next and is comparatively more sentimental, additionally featuring woodwinds, violin and acoustic guitar set to a moderately-paced rhythm. “Painted Butterfly” continues in this mode, where a warmly-lit ensemble of piano, strings and guitar seemingly capture the essence of an afternoon sunset. “Awake in a Dream” is perhaps my favorite track on the album and seemingly perfect for late-night listening. Imbued with a romantic chill-jazz vibe, the intimate and lush atmosphere of this piece is sensually enhanced throughout by a melodic interplay of piano and sultry sax. The title track, “Rendezvous”, easily paints an image of a dancing couple beneath the moonlight on an evening pier, which is seemingly illustrated by its soulful sax and chic piano riff accompanied by a lively smooth jazz groove. I’m also particularly fond of “Looking Back”, a leisurely-paced number that bears hints of nostalgia and reflection. It comparatively captures a more rural essence with its down-to-earth rhythm and acoustic multi-instruments. “Lonely Road” is another favorite in the chill-jazz vein, likewise conveying a nocturnal sultriness with its lounge-like ensemble of piano, sax and sumptuous rhythm. Closing out the album is the aptly-titled “Hope”, a positively inspirational piece featuring piano, cello and French horn. For more information please visit the artist's website. This album is also available at Amazon, iTunes and CD Baby. 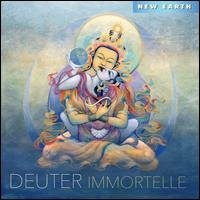 Born in Falkenhagen, Germany, composer and multi-instrumentalist Deuter (pronounced “Doy-tur”) is one the earliest pioneers of new age music. 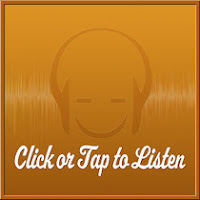 Having recorded is first album in 1971 and with over sixty releases to date, his music is especially popular in the spa and wellness industry – long heralded as being among the best of its kind for massage, reiki and various relaxation therapies. Inspired by nature and dedicated to healing, Immortelle consists of eight compositions that are each named after a medicinal plant. Deuter plays a variety of instruments throughout the album, including flutes, keyboards, piano, guitar, cello, violin, harp, strings, harpsichord, chimes and hand drums. Named for a mint plant that exudes a spicy fragrant essential oil, “Monarda” leads the album with celestial chords and earthy cello, which are eventually joined by an arrangement of strings towards the end of the piece. I’ve long found Deuter’s music to be generally well-suited for early mornings, and this composition aptly brings to mind images of the sun’s rays peering upon the horizon of an early dawn. The mesmerizing “Sonnenbraut” follows next and is my absolute favorite track on the album. Just over ten minutes in length, delicate flute and icy bells dance among layers of ethereal chords in an almost circular pattern, as hypnotic percussion gently guides this enthralling composition along. The exotic nature of this piece combined with its frosty atmosphere feels evocative of the Himalayas, bringing to mind images of an ancient temple hidden among the misty snow-capped mountains. Named for a flowering herb, “Traubensilberkerze” is led by an arrangement of harpsichord and woodwinds, which are accompanied by synthesizers and East Asian musical instruments. Possessing a harmonious juxtaposition of Far-Eastern and medieval European elements, the piece exudes an almost folkloric and mythical quality. The watery “Lily of the Valley” is another favorite, which highlights a subtle piano melody throughout. Entrancing hand percussion gently guides the piece along, as it’s accentuated by crystalline chimes and suspended synth-tones. “Binguga” is perhaps the album’s most heavenly moment; it gets its title from a plant listed in the 12th writings on healing plants by the mystic nun Hildegard von Bingen. The composition’s mysterious swell of angelic synths seems to capture a vision of the sky opening up to reveal a beam of light pouring through. I’m also especially fond of the closing piece, “Cumaru”, with its drifty piano, softly swirling tones and wordless vocal intonations. This dreamy composition seems to paint a picture of evening, as it lulls the listener into a restful dream state. This review was originally published on Journeyscapes Radio on 10/25/16. 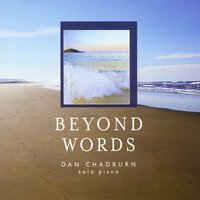 Dan Chadburn is a pianist and composer who has appeared on several compilation albums dedicated to various charitable causes alongside other notable and well-established pianists in the music scene. His sixth album, Beyond Words, is comprised of fourteen solo piano compositions, with each piece capturing a moment in time. “Awakening” begins softly with high-register notes, where Dan initially lends a gentle touch to the keys before lower-register notes soon join in accompaniment. An emotional tenderness and graceful sentimentally is felt throughout the composition, likewise characterizing much of the album. Picking up the pace a notch is “Joyful Morning”, which exudes a distinct air of buoyancy and innocence like that of children playing and skipping about in the sunshine. Following next is the more contemplative “Healing Waters”, a piece that was inspired by an early morning swim at the seashore. One of my favorites, bolder mid-to-lower register chords provide a steady undercurrent for its delicately flowing higher register notes, perhaps to musically illustrate the ocean’s waves gently rolling in and out. The likewise intriguing “Crossroads” is about life’s journey and the varying paths to choose from, which is musically conveyed by its unpredictable melody that gently ebbs and flows throughout, with a subtly changing and evolving pace along its course. My absolute favorite composition herein is “Tears of Angels”, which was composed in memory of those killed and wounded at the Pulse nightclub in Orlando on June 12th, 2016. This unforgettable tragedy occurred in my hometown and directly affected the lives of many people in my community. Beginning in a solemn tone, sparse notes and spacious chords impart a sense of sorrowful comfort along the composition’s beautiful and perfectly understated melody. Interestingly, to say the least, its melody caught my attention even before I learned of the song’s inspiration. I’m also particularly fond of “Falling Forward”, which possesses a certain air of mystery and unknowing. The subtly waltzing and classical bent of the composition brings to mind that of a lone ballet dancer. Also especially noteworthy is the emotionally tender “Kal-Boy”, which was written in memory of Dan’s twenty-year-old cat on the evening he crossed the rainbow bridge. Conveying both the sorrow felt for his beloved pet’s passing along with the celebration of his life, this piece perfectly captures the emotions experienced during that most heartbreaking moment. Closing out the album with a peaceful optimism is “Lullaby for Peace”, which Dan has offered as “a prayer of hope for all of humanity to learn to live together”. This review was originally published on Journeyscapes Radio on 10/24/16. 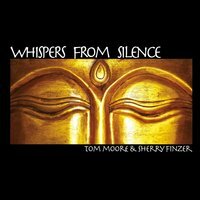 Whispers from Silence is the collaborative project of multi-instrumentalist Tom Moore and international flutist Sherry Finzer. Comprised of eight compositions spanning just over an hour, the duo blend synthesizers with wind instruments to create a deeply immersive and meditative soundscape that feels ancient, sacred and enchantingly exotic, with subtle earthy rhythms underscoring several of the pieces. “Awakening Breath” opens with the toll of a Tibetan bell followed by an exotic flute solo, evoking a spirit of reverence and solitude that sets the mood for a serenely soulful and mystical journey. “Towards the One” follows next with an opening chorus of crickets and nocturnal sounds, before transitioning into an enveloping and warmly-lit soundscape of flute, sitar and synthesizers that are soon accompanied by a flowing organic rhythm. It’s one of my favorite compositions on the album, bringing to mind images of a sacred sensual dance being performed amidst an enthralling haze of candlelight and incense smoke. “Infinite Space” is another gorgeous piece that invokes a blissful and dreamlike state, as breezy flute ethereally floats among a bed of gossamer chords like clouds passing slowly across the sky. Also particularly noteworthy is the beautifully hypnotic closing piece, “An Ancient Presence”, which effectively conveys the notion of standing in the presence of an ancient sacred temple. Here, droning chords merge with deep vocal intonations before introducing a mesmerizing flute melody, as earthy percussion subtly guides the piece along in a meditative mode that seems to fuse an eastern mystical vibe with a Native American essence. For more information please visit the artist's website. This album can also be purchased at Amazon, iTunes, and CD Baby. This review was originally published on Journeyscapes Radio on 10/05/16.